Official theme song “Starting STYLE!! 2019” MV released at first time! 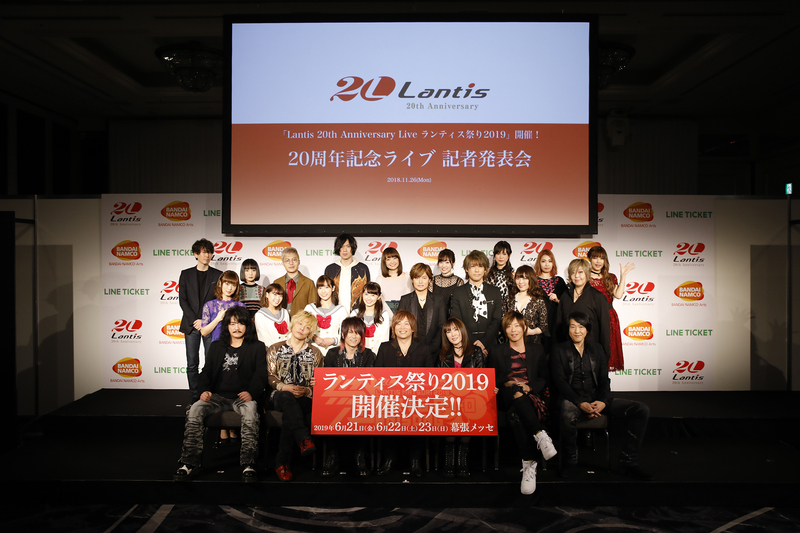 CEO:Kazumi Kawashiro)has confirmed to hold the “20thAnniversaryLive Lantis Festival 2019” (referred to “Lantis Festival 2019” for the rest of the article) in June 2019 to celebrate the 20th anniversary of the establishment of their music label, Lantis. As a prelude, a press conference which dropped its star-studded musical artists lineup was held on Nov 26. The conference was live broadcast on YouTube Live, Line Line (Live Channel) and NICONICO Live. As the leading figure in the field of animation songs in Japan, BANDAI NAMCO Arts Inc.’s musical label Lantis has produced many top hit songs such as the theme songs and the character songs of the popular animation The Melancholy of Haruhi Suzumiya and Lovelive.Now they are also engaging in the growing animation/game music production. Lantis has cultivated artists including JAM Project, GRANRODEO, Minori Chihara, OLDCODEX, Aqours(Lovelive！Sunshine!! ), THE IDOLM@STER MILLION LIVE!, IDOLiSH7 who have not only held hundreds of successful concerts at Nippon budokan and other Arenas in Japan, but also overcome the boundary of animation songs and nations. What’s more, no matter CD, online release or “animation songs only” live tour overseas, Lantis is deepening its existence in all kinds of music fields. At the beginning of the press conference, after a VTR “Lantis’s Steps” reviewing all the previous Lantis Festivals, “Lantis Festival is a festival that all of our artists and employees assemble. This year we also welcome everyone to come and enjoy!” said the Executive Vice President and Representative of Lantis Mr.Inoue , which formally declared the start of Lantis Festival 2019. In addition, on 2018 Nov 26, the 20th anniversary of Lantis’s foundation, in order to show appreciation to fans’ support, “20th Anniversary Live Lantis Festival 2019A・R・I・G・A・T・O ANISONG” was released as the theme song of the festival this year. Other than the current news about the lives on June 22 and 23, another one on June 21(Fri) was newly decided . Therefore, it was the first complete release of the 3-Day schedule. After that, the deputy of director general of Musica Producer Department Mr. Suzuki explained the theme of the festival “Appreciation”. He said “Animation songs can convey something that we cannot express by words.Everyone definitely has one favorite animation song deep in his heart. We are grateful to those animation songs so that we decide to incorporate our appreciation to Lantis Festival.That’s how we choose our theme. ” Then,with the music video, the short version of theme song “Starting STYLE!! 2019 ver” was played for the first time. In the middle stage of the press conference, Lantis revealed its star-studded musical artists lineup:JAM Project, GRANRODEO, Megumi Ogata, Aqours were set to perform at the festival. Seeing the names of those figures who dominated Japanese animation, audience couldn’t help clapping their hands. The conference hall reached its climax with the appearance of the 14 groups at total 24 artists on the stage. At the end of the event, the musical guest lineup took a photo together, marking the end of this awesome event. 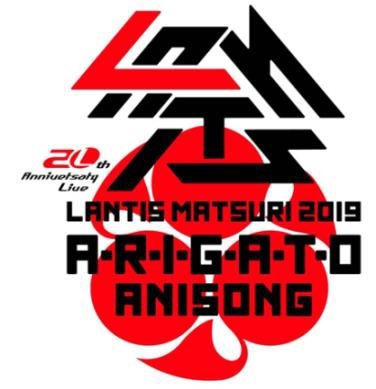 ※The following are some detailed information about” 20th Anniversary Live Lantis Festival 2019A・R・I・G・A・T・O ANISONG”, please check! I am excited about this summer festival in the world of animation songs. As the eldest performer, I will try my best to lead everyone contributing to the success of the events! Since the live will be held indoor please don’t worry about the rain! Even the strongest typhoon will not stop us if it is necessary to do a non-audience live ! I hope this live could be the one that deserves to be written into the history. Anyway I am looking forward to it! For those who come to support us, I will somehow “betray” you in a good sense since the performances will far beyond your imagination! Moving toward the 20th anniversary, we want to show better attitude on the stage! At the moment of Lantis’s 20th anniversary, as a veteran band found 19 years ago, I feel very excited to perform with the young generations.I want to provide a unique and super amazing live to you! The 20th anniversary tells us that Lantis has taken the responsibility of leading the world of animation songs for 20 years. Through the song “A・R・I・G・A・T・O” I want to show my greatest respect to Lantis. Next year will be my 30th year working as musical producer, I swear to be 100 percent dedicated to it,I will try my best! I have joined the Lantis Festival from the very first year. I sincerely appreciate that even after 20 years, I could still stand on this stage full of energy and creativity. I would like to enjoy every minute of the live with everyone else. Project Planning:BANDAI NAMCO Arts Inc.